It has been a while since I went crazy with games and tonight it will happen! I already texted my boss telling him I don't feel well loool. 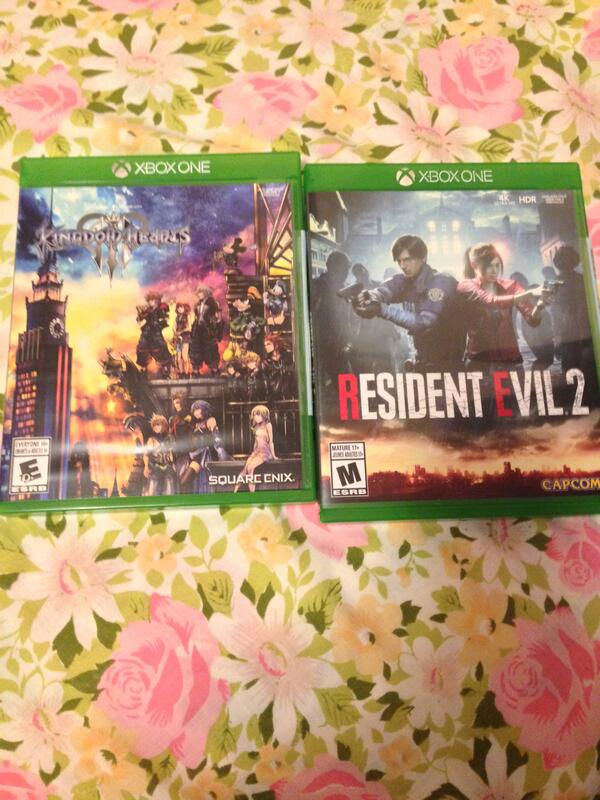 I got Resident Evil 2 and Kingdom Hearts 3! I will play little bit Re2 and than Kingdom Hearts 3. Nice. Didn’t know KH3 was out. I played the RE2 demo. I'm buying that one for sure. Playing Anthem demo on mine right now! 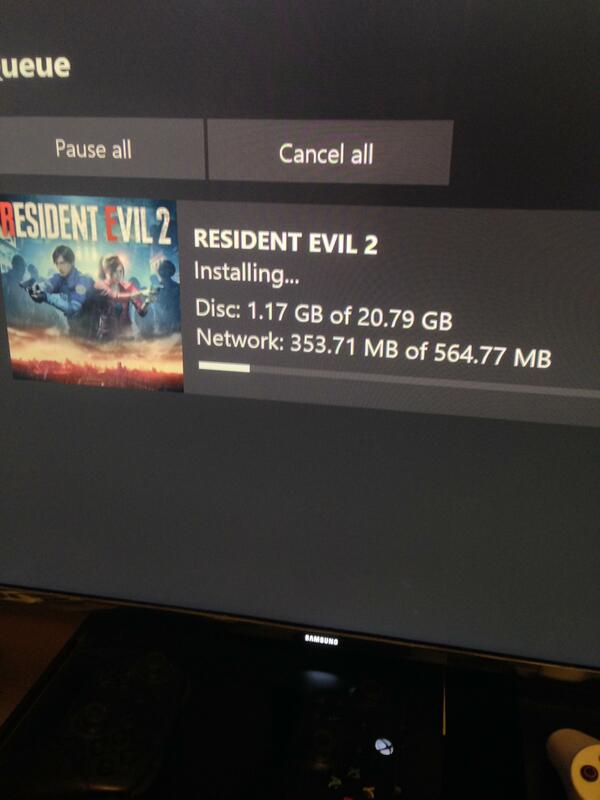 I got the game early and I liked it more than RE2. To say the truth RE2 is annoying and stupid I would say. You will get stuck with that stupid boss Tyrant and no ammo. The game will be boring after some time and we play games to enjoy not to have deadly time. You will suffer so much with this game and just get bad experience and nothing more. I tried to download the demo but it won't let me and I need to pre-order game it says. Still getting those emails, huh? To say the truth RE2 is annoying and stupid I would say. You will get stuck with that stupid boss Tyrant and no ammo. The game will be boring after some time and we play games to enjoy not to have deadly time. You will suffer so much with this game and just get bad experience and nothing more.. I completely disagree with you. RE2 was amazing and I thought they did a great job at making ammo scarce as it really added to the survival horror feel. You need to pick your fights appropriately. You can put the game on assisted mode which loads you up with lots of ammo. But I feel standard mode is just perfect. Yea man still up to date. They are asking me to pre-order Anthem which I will never do. My friends were playing the demo I thought it was for free just give it a try. So far I don't think it's good thing to see what is happening and by going through 5 rooms to just pick up 5 bullets it's unnecessary and shooting 8 bullets on one zombie head that will explode and coming back again to the same room and see the zombie is back a live again! Makes the game boring I know it's survival horror game but it needs to be more enjoyable even with hard challenges that are interesting. And also you need to know where to open fire or not to waste your bullets. I guess I should have brought beside me a book to write down in which rooms, areas, hallways, and or zombies to shoot or not to save my ammo's. I will play the game again for the second time and maybe I will do better in this second play through. The zombie does not come back when the head explodes. If you blow up the head or both the legs and arms, the zombies stay dead. And if you burn them. I can show you a video of my game right now where there is not a single zombie left alive in the police department. I have killed everything. You want to kill everything straight away but that just isn't going to happen. Not unless you play on the easiest mode. Looking for these items is no secret. This is a remake of a series that were generally the same through the first 4 titles. Run around and find certain items in order to obtain the one item needed to continue on. This is Resident Evil 2, not Resident Evil 8. And it is not hard to know when to kill a zombie and when it is easy to simply run past one. Lickers that crawl on the ceilings are blind so if you walk slow you can avoid them. You obtain lots of gun powder and such where you can make certain bullets as well. There are 4 or 5 types of guns to find later in the game so when you do have to make your way back to the police department you are equipped better to kill the zombies you left walking around. This is survival horror. Not run around guns blazing horror. I was playing on Normal difficulty and shot the female that appears in the police station and she came back as I remember 2 or 3 times and I burned the other zombies at the final mission were you need to dispensing the green house and they reappeared again walking on the stairs or in the green house. Ok I will try that out. Then don't play The 4th Survivor mode. You need to get from the sewers to the outside of the police department with limited ammo and health. It is not as easy at it sounds..
Not really I like challenges but with this one, it seems not interesting I don't know why though. I played it at my friend house and believe it or not. I made it until the police station second floor and died. Even my friend was surprised and just needed more practice i guess lool. I know man I saw a video it's deadly. But I think there are 2 things the players most do. One speed and second is timing. Because I saw few videos on youtube were the players are just avoiding the zombies and their timing was perfect when passing the zombies. If this will happen, than I guess it will be finished. But I wish if we had the option to explore the city were Hunk goes back to the facility collect the sample, gather more evidence, collect or find new items, fight bosses, and or customizing weapons. I really like his army suit and it looks great! Hopefully Capcom will release a DLC for Hunk that is 6 or 7 hours to do so in the city as it's being said that he stayed there 1 week until he left the city.